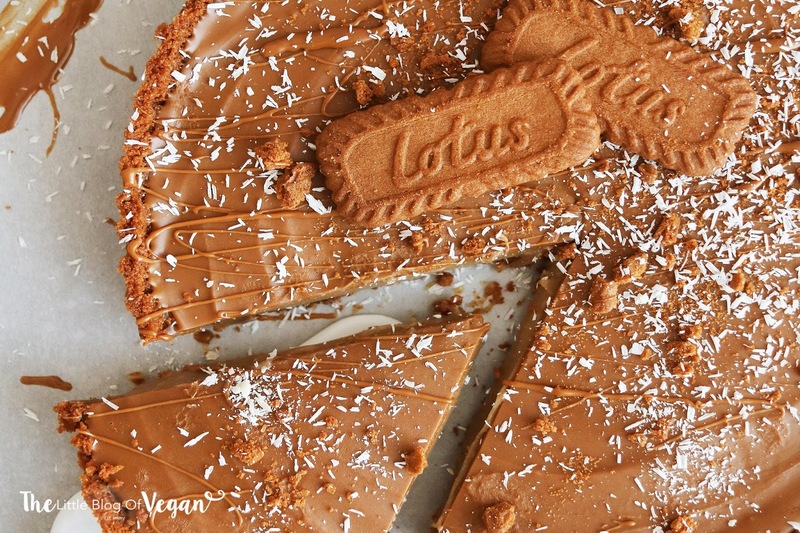 The best vegan and no-bake Biscoff tart. A crumbly biscuit base, a creamy 'sticky toffee-like' Biscoff filling, with a layer of melted Biscoff spread, topped with dairy-free white chocolate. Indulgence at it's finest! If you don't know what Biscoff is, you've been living under a rock! 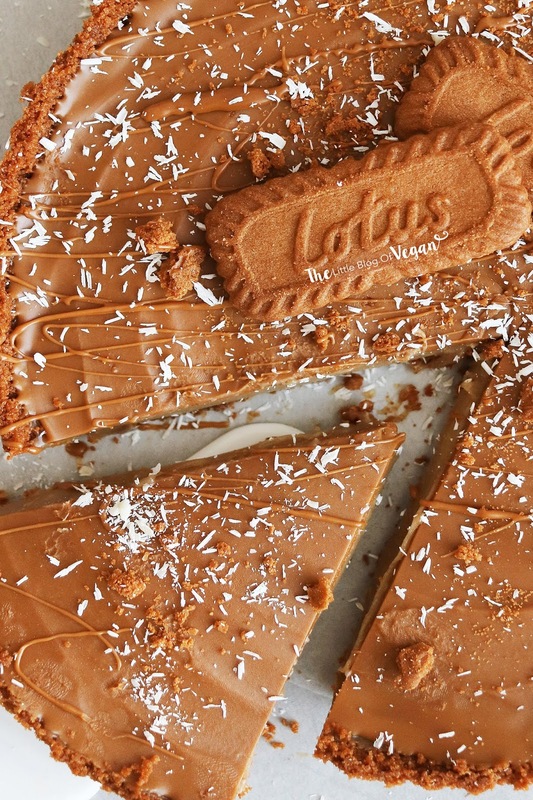 You can either have the classic Lotus Biscoff biscuit or the spread. 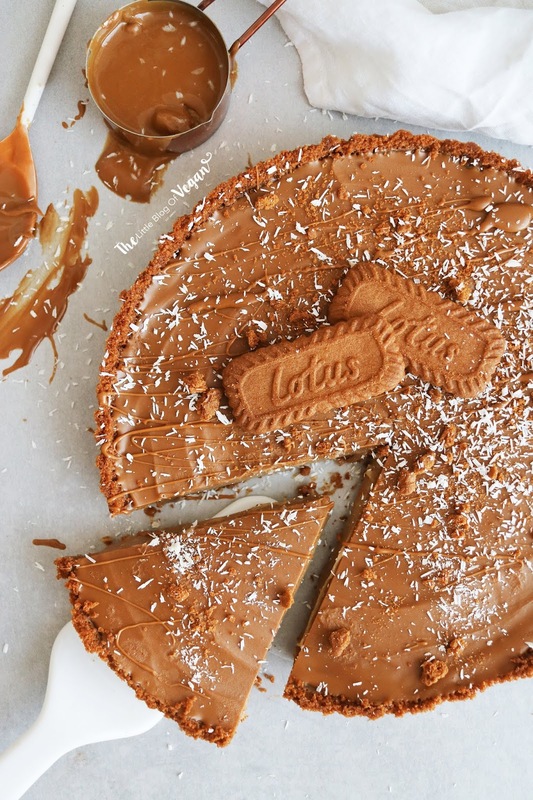 The spread is basically the biscuit...but in a cookie butter form. The flavour is like that of silky caramel! You'll have to try it yourself to fully indulge in its decadence. Biscoff is like liquid gold. 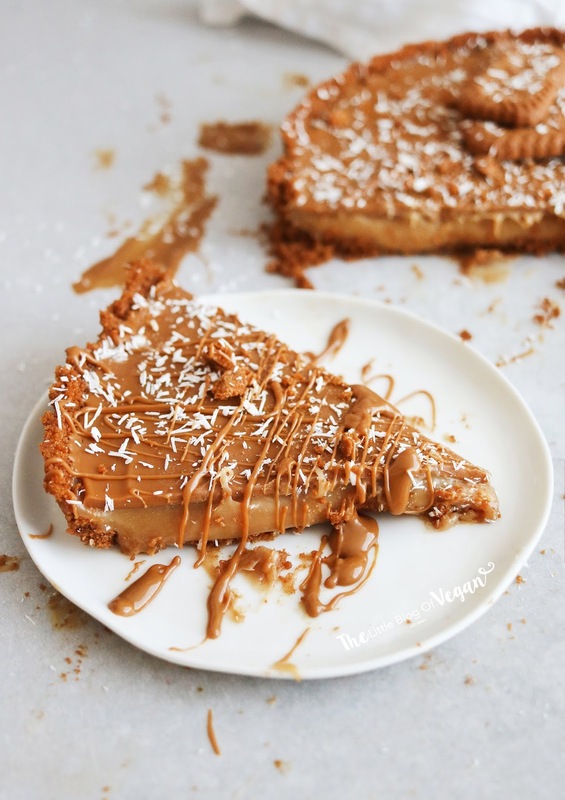 I used the Lotus Biscoff biscuits to create the most delicious crust, along with the Biscoff spread within the filling and as a sticky layer on top of the tart. It's a phenomenal tasting treat, perfect for any occasion which requires a mouth-watering dessert. Step 2- Place the Biscoff biscuits into a food processor/ blender and whizz up until crumb-like. Step 3- Place the white chocolate into a heatproof bowl and pour over the hot cream. Step 4- Stir in the Biscoff spread until smooth. Step 5- Pour the filling onto the crust and level with a spoon or offset spatula. 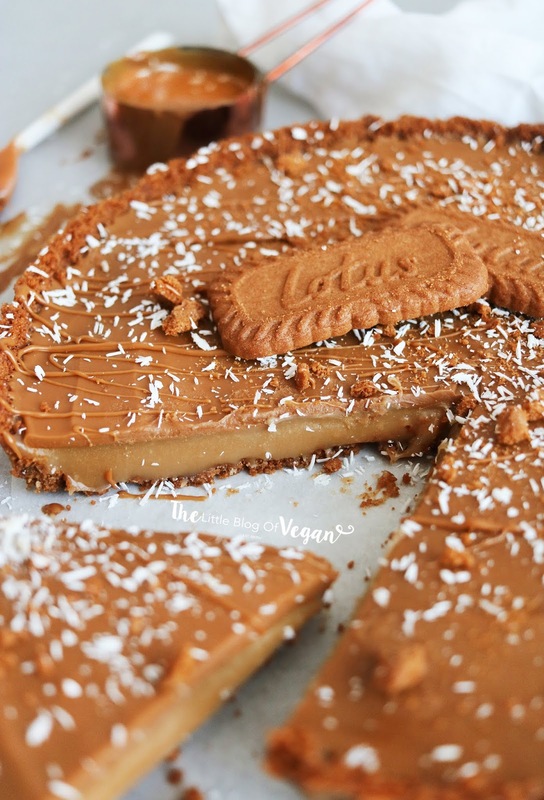 I served my tart with a drizzle of more melted Biscoff spread, grated dairy-free white chocolate and Lotus Biscoff biscuits. Delicious! WOW this tart is absolutely stunning! Perfect for the weekend!